When you need a pair of glasses or a set of contact lenses, you have the option to go to a specialist clinic, or you may go to a chain store such as Lenscrafters or Pearle Vision. Such stores have a number of advantages over specialist clinics, although they do have their drawbacks as well. LensCrafters is a prescription eyewear and prescription sunglasses retail chain founded in the United States in 1983. The company currently has more than 850 outlets in the United States, Canada, Puerto Rico and Hong Kong. Each LensCrafters store usually features independent optometrists right on the premises or in an adjacent site. The company headquarters are located in Mason, Ohio. Along with Sunglass Hut International and Pearle Vision, LensCrafters is owned by Italian firm Luxottica. Pearle Vision is an eyewear retail chain founded in 1961 by Dr. Stanley Pearle in Savannah, Georgia. The company also has a European division that has since passed into the ownership of HAL Investments, a Netherlands-based company. Like LensCrafters, Pearle Vision is wholly owned by Luxottica. Luxottica, is the largest manufacturer of eyewear in the world. LensCrafters is the largest optical chain in the country, with California alone the location of more than 90 stores. Pearle Vision for its part is comprised of over 1,000 branches in Europe alone, with outlets to be found in the Netherlands, Belgium, Germany, Austria, Poland, Portugal, Italy, Finland and Estonia. The company has been selling both branded and its own products for more than four decades. The company has adopted highly effective marketing methods to ensure its steady growth over the years, and Pearle Vision is in fact the only optician chain that has its own production facilities for the manufacture of prescription lenses. 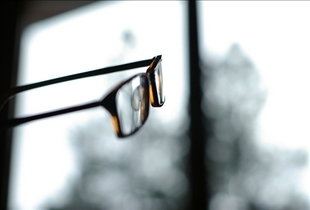 Both LensCrafters and Pearle Vision generally offer excellent service, although you may have to go through several brands in order to find the right type of lenses, depending on the particular outlet. Pearle Vision is particularly useful in this regard, since many stores will allow you to test-drive one or more pairs over a period of a few weeks. It would be highly unlikely to find a private optometrist that would offer the same service, and even if one were willing to let you try out a few pairs, you would likely be limited to a few types of lenses at best. 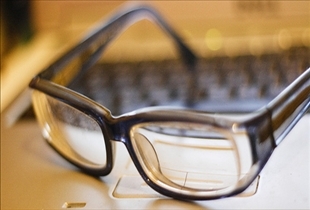 Another thing going for stores such as LensCrafters and Pearle Vision is the cost. With a private practitioner, you will likely have to pay about $350 for an exam, and the lenses and frames. At Pearle Vision, you could get all that for about $100.